The garment industry is by far the country’s most important manufacturer, earning around $5 billion annually and accounting for about two thirds of all exports. Bangladesh has about 2,500 garment factories with up to 10 million livelihoods dependent on it directly or indirectly. About 80 per cent of garment workers are women. The Ready Made Garments sector has more potential than any other sector to contribute to the reduction of poverty. Despite the phenomenal success of the RMG sector the working conditions and wages of workers in the industry are cause for serious concern. Bangladesh’s current position as a leading garments exporting nation needs to be consolidated. The economy-wide reverberations of failure would be disastrous. We believe it is in everybody’s interest to sustain this industry – an industry which changed the lives of so many people, particularly women, in Bangladesh. The problems in the industry pre-date the riots which took place just over a month ago and which were attended by deaths, injuries and the destruction of property. Over the years, hazardous working conditions have resulted in the deaths of many workers through factory fires and collapses. The Spectrum Factory building collapse of April 2005 killed 64 people, injured over 70 and left hundreds jobless. In February 2006 a fire destroyed the four-story KTS Textile Industries in Bangladesh’s port city of Chittagong again killing scores of mostly young and female workers. Workers, who are mostly young women, also face an acutely difficult working environment – wages are low, hours are long, forced labour is practiced, child labour exists, sexual harassment exists, freedom is curtailed, whether it be locked doors or rights of association, and there are a multititude of other practices which go against international labour standards and codes of conduct . At the level of legislation and business dealings, lack of implementation of laws, restrictive laws and unfair buying practices by buyers compound the issue of non-compliance. Above this aspect my research paper I discuss various problems of the garments worker, their life style, the concept of rights of garments workers and various reasons violation of rights of garments workers. Negative outlook to them of the society. To clarify the concept of rights Garment workers. To examine the legal reasons for the protection of rights of garment workers. To evaluate the measure for enforcement of rights of garment workers. The present study explores the challenges of rights of garment workers in Bangladesh. It is exploratory in nature based on a qualitative approach. The study also uses context analysis and survey methods for collecting data and information. Convention, constitutional law, garment related people, the labor court etc. and secondary sources are books, journals, articles, newspapers, internet and so on. This research will clarify the rights of the garment workers and will provide the legal remedies for violation for their rights. I believe that, this research will be very helpful for the readers and the garment workers. They will be able to know about their rights remedies and process of enforcement of their rights The defines of any study will be helpful for the legislative to repave the legislating to garment workers. a) Mir Abdul Halim, Bangladesh Labour Laws, Sufi prokashoni, Dhaka, Bangladesh, First published: July- 2011. This book is not sufficient to know deeply about the Labour Laws. This book has not explanation the right of freedom of speech. There is no explanation to the section. Explanation should be added for clear explanation. b) Md. Abdul Halim, The Bangladesh Labour code- 2006, first published: July- 2008. This book is very helpful for the students because it has clear explanation, comment and note of the section. This research is on the Garment workers in Bangladesh. This research will define the workers and will describe the importance and necessity of the Garment workers in Bangladesh. This also will prescribe the rights and remedies of the Garment workers. However it has limitation that is it will concentrate only on the garment workers in Bangladesh, not for other workers. The concept of The Rights of Garment Workers. A person who makes garments is called garment workers. Someone whose occupation is making or repairing fur garments products is called garment workers. Someone says that the persons who makes or mends dresses in the factory or garment industry is called garment workers. In another sense, someone who does work as sewing or embroidery with a needle someone who sells men’s clothes a garment maker who performs the finishing steps person whose occupation is making and altering garments someone who does work as sewing or embroidery with a needle. Everyone has the right to a standard of living adequate for the health and well-being of himself and of his family, including food, clothing, housing, medical care, necessary social services, and the right to security.” Wages and benefits are one of the primary interests an employee may have, and unfortunately, disputes over the payment of wages and provision of benefits are not uncommon. There is a wide range of laws concerning wages and benefits, and this section provides information on employees’ legal rights on those issues including tips on overtime pay, employee health insurance, and retirement plans. All employees are entitled to be paid for the work they have done. They are also entitled to be paid if they are ready and willing to work but their employer has not provided them with any work to do, unless your employment contract says otherwise. If you’re an employee, you’re entitled to be paid if you can’t work because you are off sick or away from work on maternity leave, paternity leave or adoption leave, or parental leave. You are also allowed a certain number of days paid holiday a year. In most of these situations, you are entitled to your usual wage whilst off work. There are some exceptions to these rules. For example, parents on maternity leave, paternity or adoption leave, or parental leave, are entitled to a certain amount of paid leave but the law sets out the rate at which this must be paid and it may not be as much as their usual wage. If you are employee on sick pay, your contract may give you less pay than your normal pay. By law, most employees are entitled to the legal minimum statutory sick pay. Your contract may give you more pay than this. You may be entitled to unpaid time off work in other circumstances, for example, in a family emergency or on jury service. Any amount of wages on top of the national minimum given by law, or the amount of wages for workers who are not covered by the national minimum wage, depends on the worker’s individual contract of employment. Employers must not discriminate in the amount that they pay their workers, for example, by paying black workers less than white workers who are doing the same job, or by paying women less than men when they are doing work of equal value. This is known as ‘equal pay’. Workers in the UK aged 16 or over are legally entitled to a national minimum hourly wage. It does not matter where they work, the size of the firm or the worker’s occupation. This includes casual laborers, agency workers, and home workers, workers on short-term contracts and workers employed by subcontractors. Most workers have the right to take a minimum amount of paid holiday. This is called statutory holiday. You have the right to take statutory paid holiday from work if you are a worker. This includes people who work full-time, part-time, agency workers and casual workers. Only people who are self-employed and a few other exceptions will not be entitled to statutory paid holiday. The rules about statutory holiday apply regardless of how long you have worked for your employer and regardless of how old you are. However, you don’t have the right to statutory holiday if you’re a child under school leaving age. Before 1 April 2009, your right to paid holiday from work was 4.8 weeks. Your leave year may have started before 1 April 2009 and carries on after 1 April 2009. If so, your annual leave will be worked out on a pro-rata basis 4.8 weeks pro rata for the period before 1 April 2009 and 5.6 weeks pro rata for the period from 1 April 2009. Your contract of employment may give you the right to take more than the statutory amount of paid holiday. However, it cannot give you less. If your contract gives you the right to take more than the statutory amount of paid holiday, this is called contractual holiday. The law doesn’t say how much contractual holiday you should get, or whether or not it should be paid, how much paid holiday can take? You are entitled to a minimum of 5.6 weeks’ holiday a year. This is called statutory holiday. To work out how many days holiday you can take a year, you need to multiply 5.6 by the number of days you work in a week. if you work a five-day week, you are entitled to 28 days’ paid holiday a year (5.6 X 5).if you work 2.5 days a week, you are entitled to 14 days’ paid holiday a year (5.6 X 2.5). The maximum amount of statutory paid holiday you can be entitled to is 28 days. This applies even if you work more than five days a week. Your contract of employment may give you the right to take more than the statutory amount of paid holiday. However, it cannot give you less. For example, if your contract of employment says you can only take 10 days’ paid holiday a year and you work five days a week, you will still be entitled to take 28 days’ paid holiday. If your normal working week is expressed in hours, your statutory leave may be expressed in hours too. Before 1 April 2009, you were entitled to 4.8 weeks paid holiday a year. If your leave year includes time before 1 April 2009, your annual leave will be worked out on a pro-rata basis 4.8 weeks pro rata for the period before 1 April 2009 and 5.6 weeks pro rata for the period from 1 April 2009. What is a leave year? The date you started work for your employer, if you started work after 1 October 1998 (23 November. Each leave year after this will start on the anniversary of the date on which you started work. If you start work partway through your leave year, the amount of leave you get depends on how much of the leave year you have worked. For example, if you start work in April in a company where the leave year starts on 1 October, you have started half way through the leave year. You will therefore get half the annual paid leave for that year. There are special rules if you are in your first year of employment. If you are an employee you are entitled to a written statement of your terms and conditions of employment as long as you have worked for your employer for one month. You are an employee if you have a contract of employment. Many employers do not give their employees a written statement of the main terms and conditions of the job even though the law says they have to. If your employer does not give you the written statement within two months of the date on which you started work, they will be breaking the law. The written statement must contain information on your right to holidays, including public holidays and holiday pay. Your employer must give you enough information to work out your entitlement to holidays and holiday pay, and your right to any holiday pay you may have built up when you leave your job. Your employer can make you take all or any of your holiday at a particular time, as long as they give you notice. This notice must be at least twice as long as the holiday they want you to take. For example, if your employer wants to have a Christmas shutdown for one week, they have to give you notice of the date the holiday is to start at least two weeks before it starts. Your employer can refuse to let you take holiday. To do this they must give you notice equal to the holiday you want to take. So if you have asked to take two weeks’ holiday and have told your employer four weeks before the date you want your holiday to start, your employer must tell you two weeks before your holiday is due to start that you cannot take the holiday. For more information about raising a grievance, in England, Wales and Scotland see Sorting out problems at work and in Northern Ireland, see Dealing with grievances, dismissal and disciplinary action at work. If your employer refuses to let you to take holiday, you should seek advice from an experienced adviser, for example, a Citizens Advice Bureau. You should contact a CAB as soon as possible, as there is a time limit for making claims to employment tribunals. If you have given your employer the right notice of holiday, you are generally entitled to take it. However, under certain kinds of agreement between you and your employer, they can refuse your request for holiday. They can also refuse your request for holiday if they have given you the proper notice of their refusal. However, if your employer has not given you proper notice of refusal but still refuses to let you go on holiday, you can claim compensation at an employment tribunal. You should raise a formal grievance with your employer first. Work just isn’t working for too many in America today. The government agencies charged with protecting workers’ health and safety have abandoned scores of regulatory priorities and scaled back enforcement efforts, leaving millions of workers under-protected. Millions of people work without such basic rights as paid sick days. Too many who try to organize in order to negotiate improved working conditions in their workplaces end up fired or find their efforts undermined by anti-organizing campaigns. Those whose rights are violated sometimes discover they lack meaningful remedies, as they either must depend on government agencies that may not respond to their problems or face obstacles to exercising their right to take their cases to court. Make Work Pay– by empowering workers to hold low-road employers accountable for wage theft, misclassification, and contingent work abuse, particularly through policies that create or improve private rights of action and fee shifting; and Build Workers’ Advocacy Power by improving the ability of low-wage workers to act collectively for policy and system reform. Additionally, the Program supports investigative journalism, national broadcast news coverage, and other high-profile media and public education about workers’ rights issues. This is available to those who have paid a specific number of social insurance contributions, i.e. PRSI. The different payments usually have the term ‘benefit’ in the title. If you are an EEA national, social security contributions paid in EU countries including new accession states can be used for benefit claims. You can collect special forms from your country before leaving, which will make it easier to make claims in Ireland. If you are a non – EEA national you must have a valid immigration status in order to be eligible for a social welfare payment. If you are an employment permit holder and you terminated your employment involuntarily you may be eligible for contribution based payments if you have paid sufficient PRSI contributions. Habitual residence is a condition which you must satisfy in order to qualify for some social welfare assistance payments. It was introduced on 1st May 2004 and affects all applicants regardless of nationality. To demonstrate that you are ‘habitually resident’ in Ireland, you must you have a proven close link to Ireland or other parts of the Common Travel area. The Common Travel area is Ireland, Great Britain, the Channel Islands and the Isle of Man. If you are a non – EEA national you must have a valid immigration status in order to be eligible for a social assistance payment. If you are an employment permit holder and become unemployed and you don’t have enough PRSI contributions, you will have to pass the Habitual Residence Condition in order to qualify for a social assistance payment. You will receive the payment as long as your immigration status is still valid. If you do not satisfy the Habitual Residence Condi Social Welfare Appeal If you disagree with the decision of the Deciding Officer of the Social Welfare Services concerning your entitlements, you have the right to appeal to the Social Welfare Appeals Office. The Appeals Office operates independently of the Department and is responsible for determining appeals against decisions on social welfare statutory entitlements. It also deals with appeals by persons dissatisfied with certain decisions made by Health Boards in relation to Supplementary Welfare Allowance. Homeless services for migrant workers are dependent on their immigration status. Therefore a range of options, albeit limited, are open to people. For more information on this contact MRCI or the organization listed below. If you are homeless you should contact your local authority or call the free phone number 1800 724 for advice and information on accessing emergency accommodation. For more information on different homeless services in Dublin see Cross care Map of Homeless Services. and that compensation should be paid for the property of those choosing not to return and for loss of or damage to property which, under principles of international law or in equity, should be made good by the Governments or authorities responsible. While the specific jurisprudence pertaining to the compensation of refugees per se is touched on only in passing, the paper will discuss the law of state responsibility the pre-requisite for compensation and the standards for determining when compensation is owed. It will then briefly survey recent developments outside of the trade, commerce and investment context, including the European and Inter-American Courts of Human Rights and a number of other non-commercial compensation contexts. A short glossary of relevant terms is also appended. The purpose of this paper is not to systematically “apply” these principles and guidelines to the specific case of Palestinian refugees. That will be left for discussion during the workshop. Note too that the bulk of international case law on compensation, derived from such sources as the Iran-US Claims Tribunal, the UN Compensation Commission and earlier arbitrations, is dissimilar to the situation of Palestinian refugees in a number of respects. Most cases typically concern transnational corporate investment property, negotiated commercial contracts such as oil concessions, or the breach of bilateral commerce treaties rather than general humanitarian or human rights law, and it involves foreign nationals of existing states, in contrast to the predominantly residential and agricultural property of families and communities with such an uncertain legal status as the Palestinians of 1948. Nevertheless, the general law of compensation provides a set of standards which can be used as a framework for a negotiated resolution of the Palestinian compensation question. A state that has committed such an internationally wrongful act is obligated to a) discontinue the act and restore the situation to the status quo ante; b) apply remedies provided under its internal law and to pay appropriate compensation if restoration of the pre-existing status is impossible; and c) provide guarantees that the act will not recur.5 A state to which a claim is made must negotiate in good faith to resolve it. “Failure of a state to respond in good faith to a request for negotiation may itself constitute a breach of an international obligation.”6 Wrongfulness is not precluded if the international obligation arises out of a peremptory norm of general international law; or the obligation is created by a treaty which excludes the state of necessity defense; or the state in question “has contributed to the occurrence of the state of necessity.”11 The next section of this paper discusses the remedies that are available for violations of international law. See the appendix to this paper for a glossary of compensation-related terms. In the landmark 1928 Chorzow Factory Case involving Polish expropriation of German-owned industrial property inside Poland, the Permanent Court of International Justice stated: Reparation must, as far as possible, wipe out all the consequences of the illegal act and reestablish the situation which would, in all probability, have existed if that act had not been committed.” The Court then ruled that this can be accomplished through restitution in kind, or if that is not possible, through just compensation, meaning “payment of a sum corresponding to the value which a restitution in kind would bear,” and “the award, if need be, of damages for loss sustained which would not be recovered by restitution in kind or payment in place of it,” such as lost profits. The remainder of this paper briefly surveys some further avenues of research into specific cases of compensation which may make useful models for a Palestinian-Israeli settlement. Recreation is an activity of leisure, leisure being discretionary time. The “need to do something for recreation” is an essential element of human biology and psychology. Recreational activities are often done for enjoyment, amusement, or pleasure and are considered to be “fun”. The term recreation implies participation to be healthy refreshing mind and body. The term recreation appears to have been used in English first in the late 14th century, first in the sense of “refreshment or curing of a sick person”, and derived from Old French, in turn from Latin. Humans spend their time in activities of daily living, work, sleep, social duties, and leisure, the latter time being free from prior commitments to physiologic or social needs, a prerequisite of recreation. Leisure has increased with increased longevity and, for many, with decreased hours spent for physical and economic survival, yet others argue that time pressure has increased for modern people, as they are committed to too many tasks. Other factors that account for an increased role of recreation are affluence, population trends, and increased commercialization of recreational offerings. While one perception is that leisure is just “spare time”, time not consumed by the necessities of living, another holds that leisure is a force that allows individuals to consider and reflect on the values and realities that are missed in the activities of daily life, thus being an essential element of personal development and civilization. This direction of thought has even been extended to the view that leisure is the purpose of work, and a reward in itselfand “leisure life” reflects the values and character of a nation. Leisure is considered a human right under the Universal Declaration of Human Rights. Recreation is difficult to separate from the general concept of play which is usually the term for children’s recreational activity. Children may playfully imitate activities that reflect the realities of adult life. It has been proposed that play or recreational activities are outlets of or expression of excess energy, channeling it into socially acceptable activities that fulfill individual as well as societal needs, without need for compulsion, and providing satisfaction and pleasure for the participant. A traditional view holds that work is supported by recreation, recreation being useful to “recharge the battery” so that work performance is improved. Work, an activity generally performed out of economic necessity and useful for society and organized within the economic framework, however can also be pleasurable and may be self-imposed thus blurring the distinction to recreation. Many activities may be work for one person and recreation for another, or, at an individual level, over time recreational activity may become work, and vice-versa. Thus, for a musician, playing an instrument may be at one time a profession, and at another a recreation there is a lot more to do. Recreation is an essential part of human life and finds many different forms which are shaped naturally by individual interests but also by the surrounding social construction. Recreational activities can be communal or solitary, active or passive, outdoors or indoors, healthy or harmful, and useful for society or detrimental. A list of typical activities could be almost endless including most human activities, a few examples being reading, playing or listening to music, watching movies or TV, gardening, hunting, hobbies, sports, studies, and travel. Not all recreational activities can be considered wise, healthy, or socially acceptable or useful—examples are gambling, drinking, or delinquent activities. Recreational drugs are being used to enhance the recreational experience, a wide-ranging and controversial subject as some drugs are accepted or tolerated by society within limits, others not and declared illegal. Public space such as parks and beaches are essential venues for many recreational activities. Tourism has recognized that many visitors are specifically attracted by recreational offerings. In support of recreational activities government has taken an important role in their creation, maintenance, and organization, and whole industries have developed merchandise or services. Recreation-related business is an important factor in the economy; it has been estimated that the outdoor recreation sector alone contributes $730 billion annually to the U.S. economy and generates 6.5 million jobs. Many recreational activities are organized, typically by public institutions, voluntary group-work agencies, private groups supported by membership fees, and commercial enterprises. Examples of each of these are the National Park Service the YMCA the Kiwanis, and Disney World. Recreation has many health benefits, and, accordingly, recreational therapy has been developed to take advantage of this effect. Such therapy is applied in rehabilitation and in the care of the elderly, the disabled, or people with chronic diseases. Recreational physical activity is important to reduce obesity, and the risk of osteoporosis and of cancer, most significantly in men that of colon and prostateand in women that of the breast;however, not all malignancies are reduced as outdoor recreation has been linked to a higher risk of melanoma. Extreme adventure recreation naturally carries its own hazards. A recreation expected to meet the recreational needs of a community or assigned interest group. Educational institutions offer courses that lead to a degree as a bachelor of arts in recreation management. People with such degrees often work in parks and recreation centers in towns, on community projects and activities. Networking with instructors, budgeting and evaluation of continuing programs are common job duties. In the United States, most states have a professional organization for continue education and certification in recreation management. The National Recreation and Park Association administer a certification program called the CPRP Certified Park and Recreation Professional that is considered a national standard for professional recreation specialist practices. INADEQUATE medical facilities and data may mar the efforts of the Taraba State government to curtail the outbreak of meningitis in the state. Seventy-eight cases of meningitis have been reported to the Taraba State Ministry of Health and five deaths recorded as at Wednesday. However, only one case has been medically confirmed to be meningitis in the 10 out of 16 local governments of the state. Speaking in his office in Jalingo, the state capital on the killer disease, Dr. Ebenezer Apaku, Director of Primary Health Care and Disease Control, said most of the cases involve people living in the remote areas of the state without access to adequate medical facilities. “The airborne disease usually occurs all year round but during the dry or hot season, the prevalence is high. The level of surveillance is also high.“We also need to confirm the strain of the bacteria. This is important to give the right vaccination. If you give the wrong vaccine, you will not be helping the patients. But from the isolated cases we are having, it has not reached the threshold of epidemic now,” he said. Apercu disclosed that it is the policy of the Federal Ministry of Health with the advice from the World Health Organization (WHO) that once the threshold of epidemic for meningitis has not been reached; there is no need to vaccinate the affected community. But he did not say at what point the threshold will be reached. The Medical Director of Zing General Hospital, Emmanuel Scheme corroborated the fact that meningitis is usually on the prowl in the state during the hot season.“So far, we have one unconfirmed case of meningitis in the hospital. We have taken the cerebrospinal fluid of the patient for laboratory test in Jalingo.“I don’t determine the turnaround time. But the effect of the delay is that we may not be able to confirm the actual cause of illness before the patient is discharged,” he said. He called on the government to expedite action to ensure early results of tests of patients suspected to have meningitis. “Also for record purposes, it is better to have early results from the laboratory. Although it can affect anybody, children under the ages of 15 are most vulnerable. One of the major challenges for patients is inability to buy drugs,” he said. The trade unions have always been denied any effective role in the garment sector and so have little influence over the workforce or abilities as mediator’s relations. But every worker along with the garment has a fundamental right to form and participate in trade union. When disturbances reach a certain peak new promises are made to allow trade union activity, but as unrest subsides most factory bosses maintain their refusal to concede to allowing union representation. One of the most important functions of the trade unions is to promote and train factory managers from among the workers and the masses of the working people generally. At the present time we have scores of such factory managers who are quite satisfactory, and hundreds who are more or less satisfactory, but very soon; however, we must have hundreds of the former and thousands of the latter. The trade unions must much more carefully and regularly than hitherto keep a systematic register of all workers and peasants capable of holding posts of this kind, and thoroughly, efficiently and from every aspect verify the progress they make in learning the art of management. The trade unions must take a far greater part in the activities of all the planning bodies of the proletarian state, in drawing up economic plans and also programmers of production and expenditure of stocks of material supplies for the workers, in selecting the factories that are to continue to receive state supplies, to be leased, or to be given out as concessions, etc. The trade unions should undertake no direct functions of controlling production in private and leased enterprises, but participate in the regulation of private capitalist production exclusively by sharing in the activities of the competent state bodies. In addition to participating in all cultural and educational activities and in production propaganda, the trade unions must also, on an increasing scale, enlist the working class and the masses of the working people generally for all branches of the work of building up the state economy; they must make them familiar with all aspects of economic life and with all details of industrial operations from the procurement of raw materials to the marketing of the product; give them a more and more concrete understanding of the single state plan of socialist economy and the worker’s and peasant’s practical interest in its implementation. The drawing up of scales of wages and supplies, etc., is one of the essential functions of the trade unions in the building of socialism and in their participation in the management of industry. In particular, disciplinary courts should steadily improve labour discipline and proper ways of promoting it and achieving increased productivity; but they must not interfere with the functions of the People’s Courts in general or with the functions of factory managements. This list of the major functions of the trade unions in the work of building up socialist economy should, of course, be drawn up in greater detail by the competent trade union and government bodies. Taking into account the experience of the enormous work accomplished by the unions in organizing the economy and its management, and also the mistakes which have caused no little harm and which resulted from direct, unqualified, incompetent and irresponsible interference in administrative matters, it is most important, in order to restore the economy and strengthen the Soviet system, deliberately and resolutely to start persevering practical activities calculated to extend over a long period of years and designed to give the workers and all working people generally practical training in the art of managing the economy of the whole country. Contact with the masses, i. e., with the overwhelming majority of the workers (and eventually of all the working people), is the most important and most fundamental condition for the success of all trade union activity. In all the trade union organizations and their machinery, from bottom up, there should be instituted, and tested in practice over a period of many years, a system of responsible comrades who must not all be Communists who should live right among the workers, study their lives in every detail, and be able unerringly, on any question, and at any time, to judge the mood, the real aspirations, needs and thoughts of the masses. They must be able without a shadow of false idealization to define the degree of their class-consciousness and the extent to which they are influenced by various prejudices and survivals of the past; and they must be able to win the boundless confidence of the masses by comradeship and concern for their needs. One of the greatest and most serious dangers that confront the numerically small Communist Party which, as the vanguard of the working class, is guiding a vast country in the process of transition to socialism, is isolation from the masses, the danger that the vanguard may run too far ahead and fail to “straighten out the line”, fail to maintain firm contact with the whole army of labor, i. e., with the overwhelming majority of workers and peasants. Just as the very best factory, with the very best motors and first-class machines, will be forced to remain idle if the transmission belts from the motors to the machines are damaged, so our work of socialist construction must meet with inevitable disaster if the trade unions—the transmission belts from the Communist Party to the masses—are badly fitted or function badly. It is not sufficient to explain, to reiterate and corroborate this truth; it must be backed up organizationally by the whole structure of the trade unions and by their everyday activities. Employees have the right to a workplace that is reasonably free of safety and health hazards. A federal agency the Occupational Safety and Health Administration (OSHA) typically sets and enforces standards to ensure the safety and health of America’s workers. Choose a link from the list below for information and tips on workplace health and Workers’ right to workplace health and safety appear as standards in workplace health and safety laws. These laws are known as “regulations”. It is illegal for an employer not to follow a regulation. A regulation contains the minimum protection an employer must give a worker against dangers to the worker’s good health and safety. The minimum protection is defined as a standard. When an employer doesn’t set the workplace’s health and safety standards as high as the standards found in regulations, then the regulations need to be properly enforced. Government inspectors play an important role in the enforcement of regulations by ensuring that employers are meeting the legal standards. Bangladesh employs 3.4 million garment workers in 4,200 ready-made-garments (RMG) factories that produce US$12.59 billion in export earnings, representing 78% of the country’s total. Contributing nine percent of the gross domestic product, the industry is directly or indirectly responsible for the employment of 24 million people. The minimum wage is $43/month or about $10/week. This equals 20 cents an hour, the lowest wage, by far, of any major garment producing country. Studies show that this wage fails to cover the cost of the minimum nutritional needs of even a single worker, let alone her family. The Bangladesh Center for Worker Solidarity was borne out of a worker movement to form the first trade union in a factory sourcing for a garment retailer. Since the early 1990s, the BCWS has had a long tradition of advancing workers’ rights by documenting labor abuses and violations and strengthening the capacity of workers to advocate for themselves and advance their own interests. BCWS is highly regarded by labor rights advocates world-wide and by apparel companies as well. Levi Strauss & Co. has called BCWS “a globally respected labor rights organization, which has played a vital role in documenting and working to remedy labor violations in the apparel industry in Bangladesh.” The project has been successful in providing women workers with a better/solid understanding of their rights and the legal protections that they can invoke to defend them. It has also been successful in educating women workers about codes of conduct which they previously had no knowledge of. Women now have the confidence to ask factory management about their codes of conduct, to question the failure to implement their commitments and to negotiate with management to defend their rights. To do this, trained female workers have taken the initiative to organize their respective factory workers and to form female led unions . Many women who hadn’t had the chance to attend the leadership training programs were able to benefit from BCWS reading and educational materials and the organization’s broader awareness raising campaigns. Among 14 factories, 4 became ready for union registration. This is a truly remarkable victory, especially given the current political situation in Bangladesh which has served to further limit the ability of workers to defend their rights. This chapter is mainly discussed about some concept of definition of garments workers, rights of the garments workers in Bangladesh, rights to wages, rights to leave and holydays and all rights of garments workers. This is the last chapter of my research and I found lots of information about rights of garments workers in Bangladesh. In the last of my research I write down how we can protect the garments workers rights and what can our government do for protecting the rights of garments workers in Bangladesh. The major finding of the study I try to write about rights of garments working in Bangladesh. That is varying important for me as a law student. I also learn about the life style, salary system, trade uion, rights etc of the garments workers. I also learn about the definition of garment worker, various rights of the garments workers and other important term which is related with this topic. I also find this topic about varios trade unions, collective bargaining agent (CBA) and various international organizations which are help to the garments workers. Also discuss how the Labour Court and Labour Appellate Tribunal work. Finally I try to give the overall discussion about the rights of garments workers in Bangladesh. 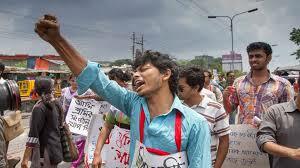 In respect of Bangladesh situation we know about the garments workers law in Bangladesh and application such laws. Finally observation of all above matters we can take to solve, protection and prevention of rights of garments workers in Bangladesh. Lastly, I discussion about the rights of garments workers in Bangladesh. Where the rights of garments workers are violated in our country. The garments workers are very important and essential person for our society. They work hard and soul everyday from morning to evening. So our Government should take any action so that the rights of garments workers are not violated. Abdul Halim Mir, Bangladesh Labour Laws, Sufi Prokashoni, Dhaka, 2011. Md. Halim Abdul, the Bangladesh Labour Code, 2006. CCB Foundation, Dhaka, 2011. The Constitution of Bangladesh, Published by the Government, 2011. The constitution of Bangladesh, Published by the Government, 1972. The Health and Safety Act 1992, Published by the Government. Yukic Thomas. Fundamentals of Recreation, 2nd edition. Harpers & Row, 1970, Library of Congress 70-88646. Rehabilitation for Victims of Gross Violations of Human Rights and Fundamental Freedoms: Preliminary Report, 1990.